Dr. Thames completed his undergraduate degree in Biology at U. C. Irvine. He did post graduate work at California State University at Fullerton in reading difficulties. He received his Doctor of Optometry in 1982 from U. C. Berkeley School of Optometry and was honored with the Golden Retinoscope Award as the outstanding graduating clinician. 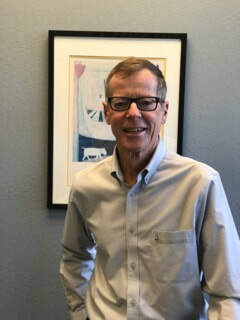 He has served on the board of Directors of the Alameda Optometric Association Contact Lens Section and is a clinical associate with Laser Surgery Centers. Dr. Lin obtained her Bachelor of Science Degree in Molecular, Cellular and Developmental Biology from University of California Santa Cruz. She further earned her Doctorate in Optometry Degree from Western University College of Optometry. Dr. Lin has clinical experiences in examining different age populations and demographics. Her clinical experiences include a large veteran affairs hospital, a vision therapy group, a naval hospital and primary eye care clinics. Various clinical settings sharpened her skill in ocular disease management. She detects, treats or manages conditions such as glaucoma, cataract, diabetic retinopathy and macular degeneration, etc. Dr. Lin sees patients for comprehensive eye exams, contact lens fittings, and LASIK co-management. She is fluent in Mandarin and Taiwanese. She genuinely cares for her patients and would love to examine them year after year. Dr. Lin believes that annual eye exams are critical for early detection of ocular conditions; hence, she provides thorough examinations along with clinical education to all her patients.